Shoptelligence delivers millions of ensembles for large retailer sites and experiences every day, across home and apparel. Launch in weeks with just your basic product feed. 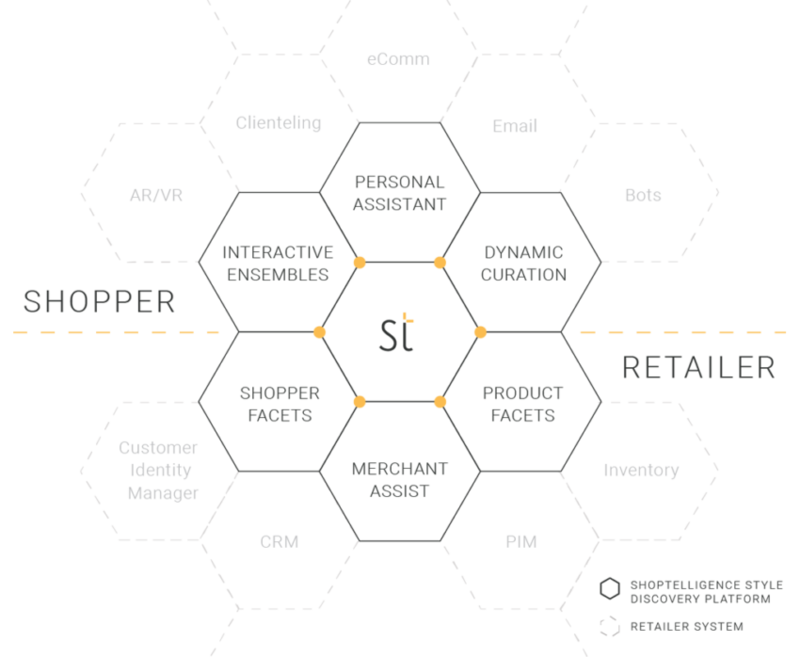 INTERACTIVE ENSEMBLES (IE): Coordinating cross-category product groupings specific to the shopper’s style and objective, with dynamic interactivity to allow shoppers to discover more to make groupings their own. PERSONAL ASSISTANT (PA): Personal shopping assistant that incorporates learned shopper-specific preferences into ensembles and curations, and allows shoppers to mix & match their own items with retailer items. PERSONAL STORE (PS): Curation of item-level collections allowing shoppers to discover relevant items across entire assortment based on combining style, objectives and STyle attributes. SHOPPER FACETS (SF): Data feed containing customer preferences with STyle attribute affinities to enable more personalized customer interactions across the enterprise. PRODUCT FACETS (PF): (Reverse attribute feed) Data feed containing product STyle attribute enrichments to power more robust search and filtering in all channels and granular product insights for use across the enterprise. MERCHANT ASSIST (MA): Interactive style-based merchandising tool for retailers to efficiently control collections as desired accounting for each brand’s unique style and ever-changing inventory.